After a moment of silence, finally, Deniece Cornejo spoke up and defended her side claiming that she is the victim of the crime and it is not Vhong Navarro. The said claim was aired in exclusive interviews by ABS-CBN, TV5 and GMA7 News on Monday, January 27, 2014. Deniece Cornejo said that the incident took place in her condominium and the culprit was none other than the actor. Cornejo said that she admired Vhong and she looks at Vhong as someone with high identity and she could not believe that Vhong had a malicious advantage on her. She stressed the fact that she will pursue justice on her part because she believes that she is the victim. Investigations are going on nowadays with regards to the issue and Deniece showed to the world how strong she is in times like this. Several reactions were given by netizens on the issue. The issue of extortion is also highlighted on this topic due to the fact that there are figures said that it even reached 2 million pesos. We do not know what will happen next and we hope and pray that the investigation will follow right procedures and that the result will give right justice. The country is on lookout of what might happen in the future. 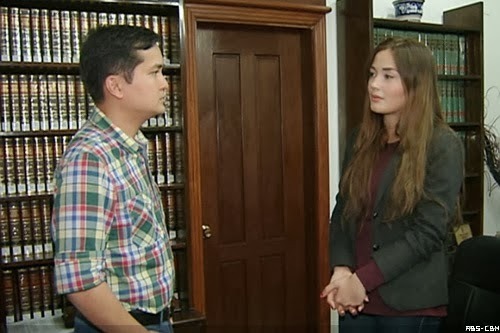 As of now, Deniece is working hard in order to win the case against Vhong whom sheaccused of taking malicious advantage of her. This is really mind twisting to some and I advise you should look forward to the next happenings and improvements of the case. Be updated on this case in our future post here.